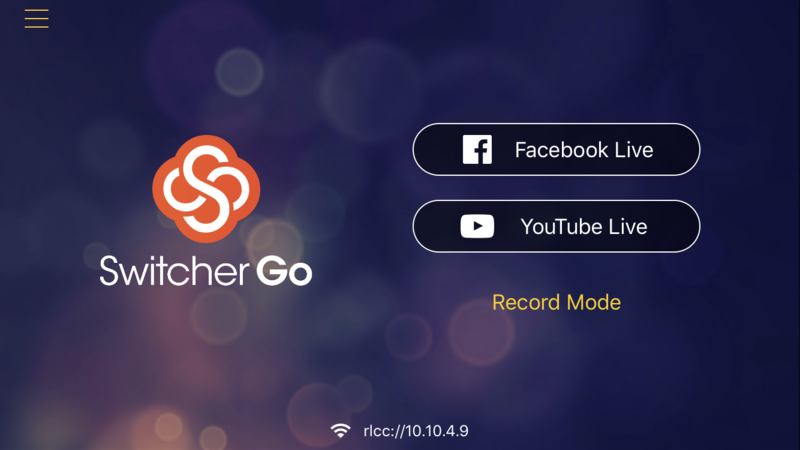 When you are logged into Switcher Go, you are prompted to create an event for Facebook Live or YouTube Live (or to record only). To stream to Facebook Live, you will need to tap on the Facebook Live icon. It will prompt you to log in with your Facebook email address and password, just like you would when using Facebook on a computer. You will then be taken to the Live Event Creation screen. 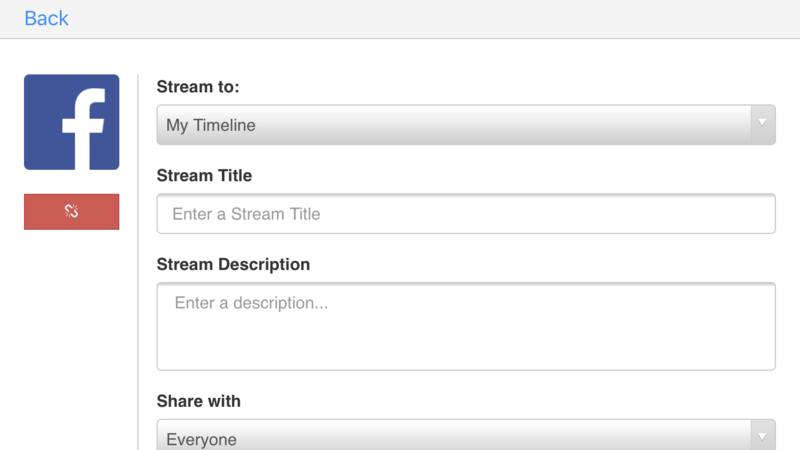 You can then title your stream and provide a description of it to let viewers know what they will be seeing. You can also change the privacy settings to Everyone, Friends Only, or Only Me (perfect for testing your quality before viewers can see). 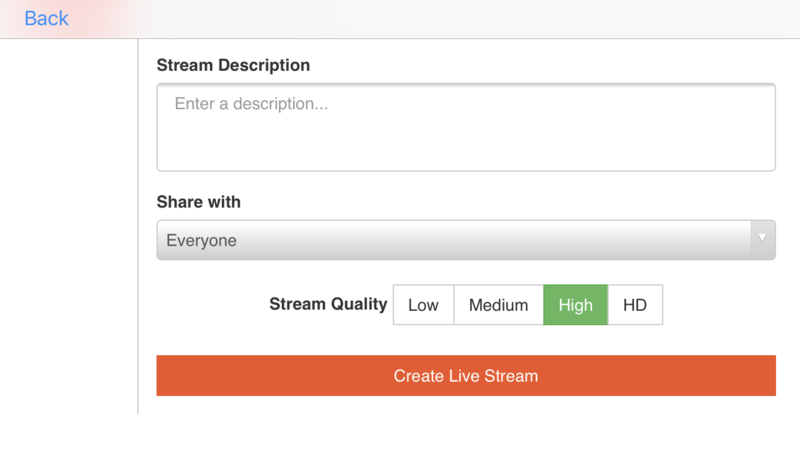 The level of quality you would like for your stream can also be selected. The Stream Quality coincides with your WiFi connection; a high connection can stream under High or HD quality, while slower connections will need Medium or Low. After this, select "Create Live Stream". Your event is now ready to go! Press the record button when you are ready, and you will be Live!